Hail New Mexico! Enjoying these posts about my journey around the US?? Head over to "What Makes Your State Great" and leave comments about why your state is great!! 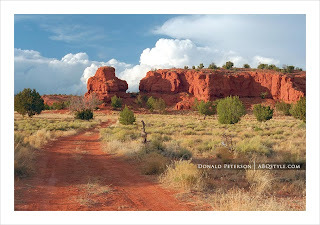 My stop today is in the great state of New Mexico, Land of Enchantment. Some great facts about New Mexico from 50state.com are the province that was once Spanish New Mexico included all of present day New Mexico, most of Colorado and Arizona, and slices of Utah, Texas, Oklahoma, Kansas and Wyoming. The Original American Territory of New Mexico that congress created in 1850 included all of New Mexico and Arizona plus parts of Colorado, Nevada, and Utah. The boundaries of present day New Mexico were drawn by congress in 1863 but New Mexico didn't become a state until 1912. Each October Albuquerque hosts the world's largest international hot air balloon fiesta.The Rio Grande is New Mexico's longest river and runs the entire length of New Mexico. New Mexico is one of the four corner states. Bordering at the same point with Colorado, Utah and Arizona. The leaves of the Yucca, New Mexico's state flower, can be used to make rope, baskets and sandals.New Mexico's State Constitution officially states that New Mexico is a bilingual State, and 1 out of 3 families in New Mexico speak Spanish at home. 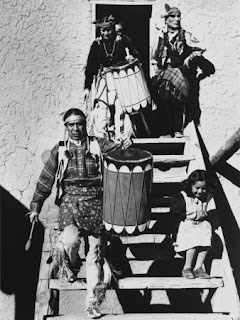 In some isolated villages, such as Truchas, Chimayo', and Coyote in north-central New Mexico, some descendants of Spanish conquistadors still speak a form of 16th century Spanish used no where else in the world today. Native Americans have been living in New Mexico for some twenty thousand years. The Pueblo, Apache, Comanche, Navajo, and Ute peoples were in the New Mexico region when Spanish settlers arrived in the 1600s. Feeling very connected with these people, I wanted to find a very appropriate video to share for this particular state. I found the following Native American Apache Shamanism: The Ranger Prayer by David Lakota. I felt very connected to this prayer as in this we see a close relationship to what I do when I call the quarters and start my rituals. I long to have this spirit with me when I send for my energy to protect this great land.